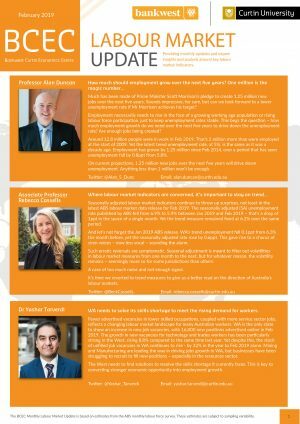 The past months have been a busy period for the Centre, as we launched our latest Focus on WA report on the digital divide in Western Australia. One of the more surprising findings to come from the report was that only 74 per cent of the lowest income earners in WA access the internet, 25 percentage points less than those earning the highest incomes. While access to the internet is increasingly necessary for education, work and access to banking, there are still some within our community who simply cannot afford to remain connected on a daily basis. 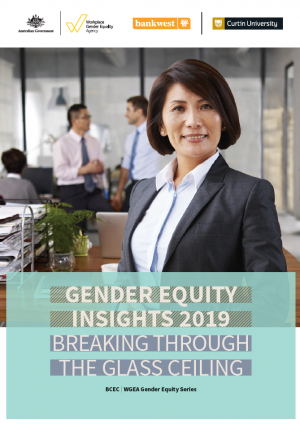 In this edition, you’ll also find Associate Professor Rebecca Cassells’s article for The Conversation on women dominating employment growth in the Australian labour market. This trend is something which we have seen continue for successive BCEC Monthly Labour Market Updates, but the question remains – what sort of jobs are being created and are they providing meaningful work? Unemployment was also a focal topic when Dr Daniel Kiely and I addressed the recent Mid West Chamber of Commerce and Industry’s Mid West Economic Summit in Geraldton. Daniel and I presented on economic, social and demographic trends for the region, to an audience of local industry and government stakeholders. The Mid West region is experiencing an ageing population, with younger and middle-aged residents leaving the region, and the number of older persons increasing. For those young people that remain, they face a high rate of youth unemployment. Finding employment opportunities for young people was an issue echoed by those in the room, and something government and policymakers continue to grapple with in the region. 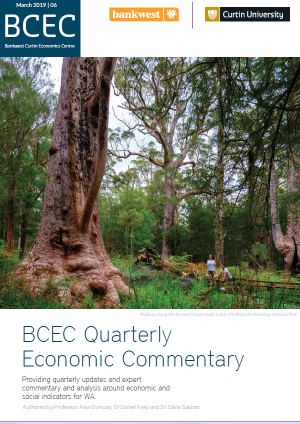 BCEC’s research often has a regional focus, and we look forward to discovering new opportunities to present these findings to a wide regional audience. 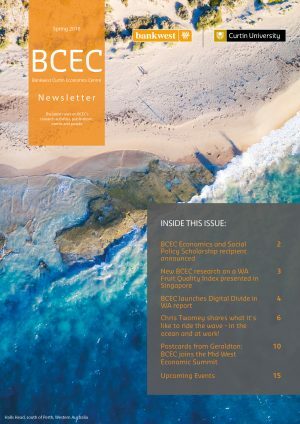 I thank you for your continued support of the BCEC and hope you enjoy reading about the Centre’s recent research activities, events and achievements.